If you have set yourself the goal of potty training your toddler in 2019 then this handy guide from Potette Plus will give you all the tricks, tips and info you need to get your little one out of nappies in no time. 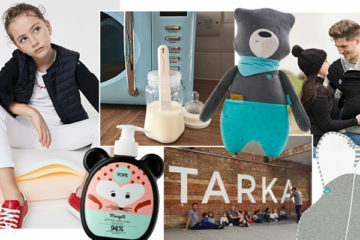 Its tempting to just launch straight in to potty training once you set your mind to it, but taking a bit of time to prepare and make sure you have everything you need to hand will make the whole process easier. Before you introduce the potty to your toddler, it’s worth buying or borrowing some books to explain how they use a potty in a fun and accessible way. There are so many children’s books on the subject that you will find one easily online, at a book shop or at your local library. Choose one that has a theme that suits your child’s interests such as a princess, pirate or dinosaur who is learning to use their potty. This will help to make the idea of potty training fun for your toddler from the start. Once you have everything you need to hand, set aside some time that you can really dedicate to potty training. Lots of parents find that it helps to start potty training over a holiday or during a week when they have nothing planned. If you can set aside a week to focus on getting your toddler settled in to potty training then you will reap the benefits. So, you are ready to start and you have some time booked in to your diary to focus on potty training. The first thing to do is to introduce your little one to their potty. By now, they will hopefully understand what potties are for because you have been reading lots of lovely stories about potty training in the run up to this week. Show them the potty and perhaps play a game involving the potty. It could be an astronauts chair in a space rocket or a train driver’s chair on the dinosaur express or a princess’s throne in a beautiful castle. Use your child’s interests in imaginative play to help them see the potty as a fun place to sit. When they are ready, you can encourage them to try going to the toilet on it. You might like to introduce your child to their new “big boy’s” or “big girl’s” pants at this stage too. Speak to them about how “big girls” or “big boys” wear pants instead of nappies and encourage them to try them on. If you are at home for the first few days then you might like to let your little one wear their pants without putting trousers or tights over the top. This will encourage them to recognise the feeling of wearing pants instead of a nappy and will help them to remember to use their potty when they need the toilet. It is very normal for children to have a few accidents in the first few days as they get used to wearing pants instead of a nappy and recognising the urge to go to the toilet in advance. Remain calm, reassure them that its ok and remind them that now they are a “big girl” or “big boy” they can go to the toilet on their potty whenever they need to. Having the potty in the room with you during these first few weeks is helpful to remind them that they can go on it whenever they need to. A reward chart can help to encourage your little one to use their potty. Leave the reward chart somewhere accessible so that they can see it and allow them to put their own sticker on when they go on their potty. By the end of the first week, your little one will be well on their way to being potty trained and may even have cracked it completely. Don’t worry if they haven’t, they will get it in their own time. Once you and your little one are feeling confident in using the potty at home, its time to take this show on the road. Staying at home might be fine for the first few days but at some point you are going to want to venture out with your toddler. This is often a daunting prospect for both parent and child, particularly in those first few weeks of potty training. The good news is that it doesn’t have to be difficult to potty train on the move. You will probably want to take your potty with you when you go out and about but you won’t want to take your bulky home potty. You need a more convenient option like the Potette Plus travel potty which is collapsible and fits in to its own handy travel bag. It is so small that it simply fits in your changing bag, buggy or back pack and allows you to potty train anywhere. 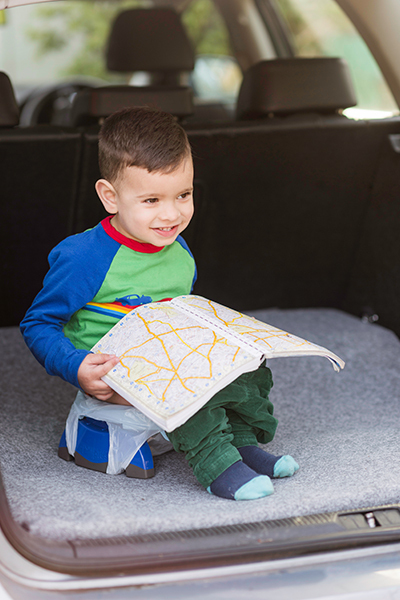 Potty training on the go is easy with the Potette Plus because you don’t have to clean the potty when you are out and about. You simply slide one of the disposable, biodegradable liners on to the Potette Plus and then throw it away when your child has finished. The liners have wonderful illustrated characters on the inside that disappear like magic when your child goes to the toilet which acts as a fun reward and its mess free too. Once your child has mastered potty training, you will want to introduce them to the toilet which can be a difficult transition because the toilet seat is often too large for your child to sit on unaided. At this stage, you may find it helpful to use a step or stool in front of the toilet. A training seat that fits on top of the existing toilet seat and is perfectly sized for your little one can also be really helpful in making your little one feel comfortable and secure. If you have a Potette Plus for potty training on the move then you will already have a training seat to hand. The Potette Plus converts effortlessly into a toilet training seat. Simply click the legs into the horizontal position and place the Potette Plus on top of the fitted toilet seat to create a safe and familiar environment for your child to transition to using the toilet. It helps to create a more hygienic environment when you are using public toilets too as your child won’t need to touch the fitted toilet seat at all. As your child grows and becomes more independent in using the potty and then later the toilet, you will want to tackle night-time training. Some children will automatically have dry nights when they start to potty train during the day but for others this might take longer. Consider using pull-ups or night-time nappies that will help to protect bedding during the transition. Some nappies even have a symbol that stays if the child is dry and disappears if they aren’t, which can be a fun reward for the morning and helps you to know if they have been dry all night. Give plenty of praise if they are dry and you could use a reward chart again to help incentivise your child to get up and go to the toilet during the night if they need to.